Choose our contractor for prompt, courteous service on water well drilling, pump installation, and well servicing in Southwest, Virginia. Since 1989, Boyer Well Drilling has been serving Rural Retreat and surrounding areas with efficient and reliable well services. Whether you need a new well or simply need service, our drilling contractor and his team provide you with 24-hour attention. 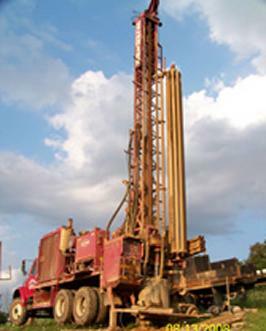 Rely on a drilling contractor armed with two state of the art rotary air drill rigs. Boyer Well Drilling has the experience and knowledge of the area needed to ensure that your well is drilled to the proper depth. We provide casing installation to prevent debris from entering your well, and filters for cleaner water. We can also provide you with troughs and water lines to supply your livestock with adequate water. Contact our drilling contractor in Rural Retreat, Virginia, at (888) 365-5148 for more information about water well drilling on your property.